Imagine receiving an email invitation to attend a cat pajama party. No, we’re not joking. 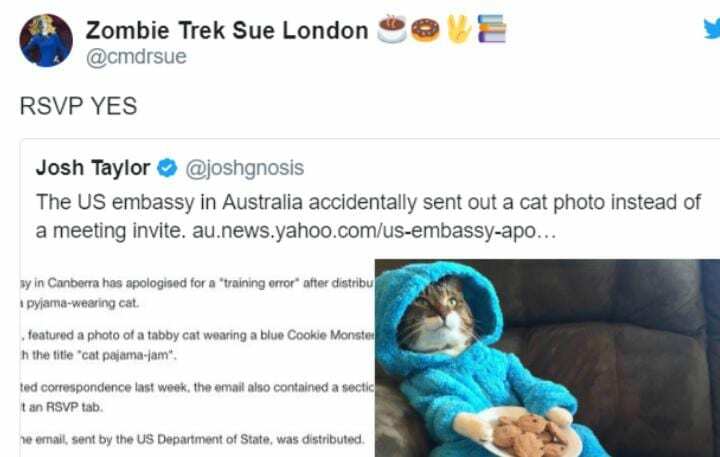 This actually happened when the American embassy in Australia accidentally sent out an invitation for a cat pajama party with cookies. Since then, the email has become a viral story. So, what exactly happened? “You’re cordially invited to attend a wonderful party, filled with cookies and cats in pajamas.” Imagine receiving this email invitation. What would be your first reaction? If you’re a cat lover, you might be excited. 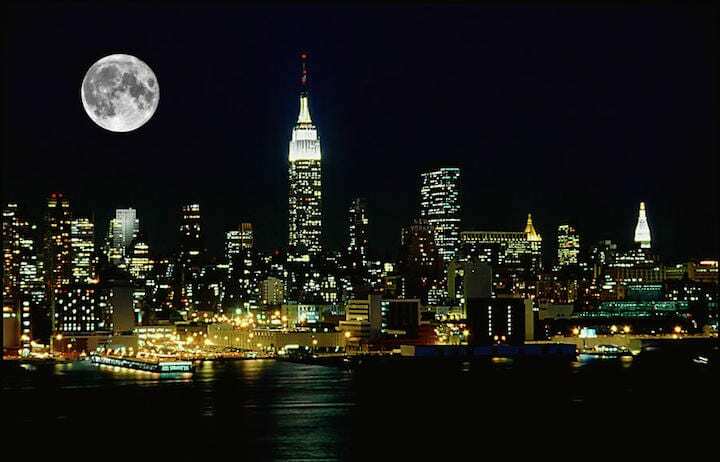 But, it gets better. The email, sent out by the American embassy in Australia, even included a special treat. The email contained probably the best photo ever: a cat lying on a couch in an electric blue Cookie Monster costume. The cat was holding a plate of chocolate chip cookies. This would be appealing to anyone who loves cats, the Cookie Monster, a pajama party, and chocolate chip cookies. But, as it turns out, it was all a mistake. The American embassy didn’t intend to send out this party invitation to hundreds of email users. It was a training error made by various staff members who were testing out the embassy’s new email newsletter platform. But, they made a mistake and accidentally sent out the email. Oops! Two days after the error, the U.S. Mission to Australia Public Affairs Counselor Gavin Sundwall emailed an apology. “Sorry to disappoint those of you who were hoping to attend this ‘cat pyjama-jam’ party, but such an event falls well outside our area of expertise,” Sundwall addressed. But that doesn’t mean people didn’t talk about it on social media. Hundreds of Twitter users shared the photo of the “Cookie Monster Cat.” They decided to have their own little party on social media. So, even though the party was unintentional from the American embassy, social media users still had fun. They turned an error into a happy occasion. We’ll eat a cookie to that.